Hi my name is Donna Stewart. I have been serving spirit and working with my spirit team as a Medium for 21 years. For 19 of those years I have had the pleasure of teaching, sharing, inspiring and helping people to grow with the knowledge that I’ve learned along the way. Let’s Make a Connection Together Today? Sign-up below to receive email updates and be the 1st to know about my latest broadcasting, mediumship training, events, readings and inspiration from my Spirit Guide and main man ‘Takana’. Choose Below How Can I Help You Best? Latest From The Blog. All things Mediumship, Spirituality, Inspiration & Insight From Me! My work as a Medium is a profound part of my life which I love to share. Loved ones who have passed will often give guidance, comfort and clarity during a consultation, in addition to their life evidence and information. I have been aware of Spirit from an early age and having recognised my calling over the years I learned to listen to where I was guided. I now help others who have an awareness and are starting to explore their own sensitivity, and also those who are more experienced and wishing to improve their connection. 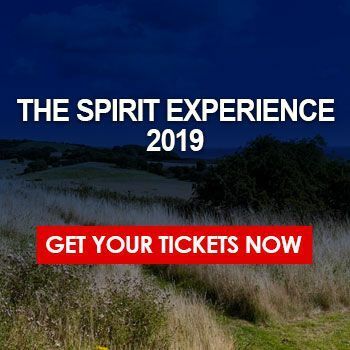 Through my teaching, classes and one on one tuition I will share my experience and help you to develop your abilities which will strengthen your connection with Spirit and have a positive effect on your everyday life. Whether you would like to enhance your connection to loved ones who have passed, understand more about how your energy can change the way you live or if you would like to help others using your own abilities, my teaching and experience can help you to reach your goals. Find out where my next workshop will take place and sign up to join likeminded people who are on the path to discovery, like you. The connection I have with Spirit not only brings a strong spiritual quality to my life, also allows me to feel complete empathy with people while gaining greater insights into what is required at a personal level. This affinity blends well with my abilities as a medium and tutor as it ensures you receive personalised training to develop your connection with Spirit in your own unique way and at a pace that is just right for you. My students are situated all over the world which is why I make my courses available online. Through modern technology and Skype, we can connect to ensure you receive the best of the experience that Spirit have shared with me over 16 years. For a personalised approach to the teaching of psychic mediumship skills or to connect with loved ones who have passed contact me. Together we can open closed doors and step into the room that holds the next part of your spiritual journey. "So many good things happened during our sessions together that Spirit showed me they were really there. Thank you for believing in me Donna, you never gave up on me even when I did"